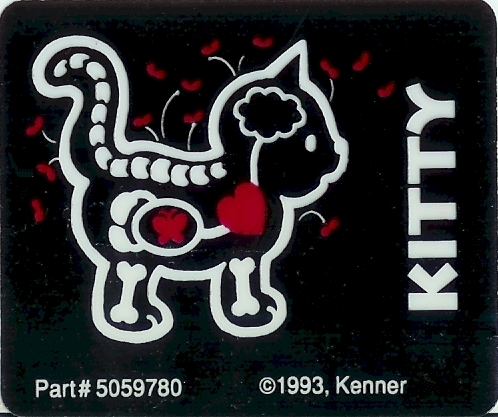 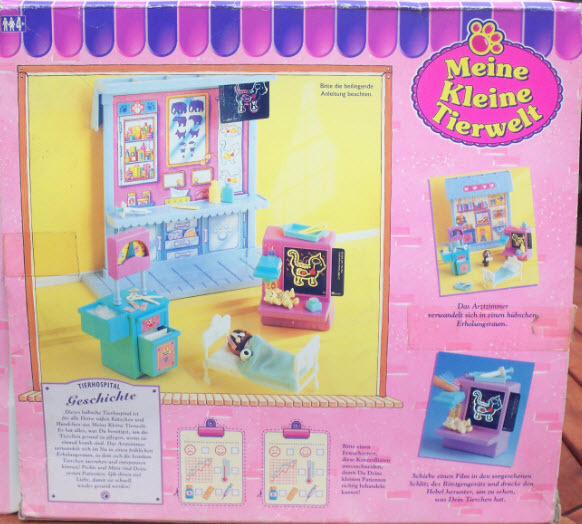 European variant of backdrop; sticker on awning is from the US version. 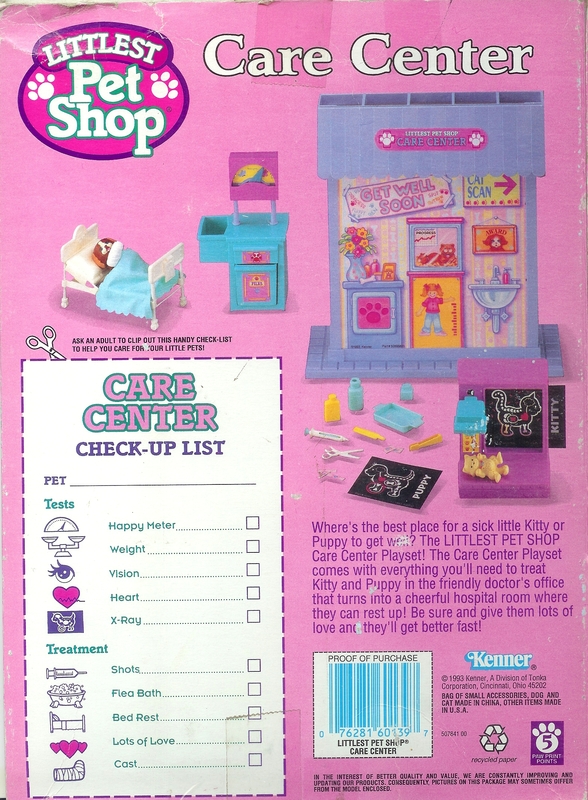 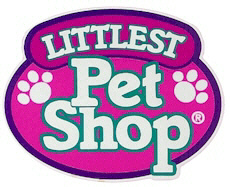 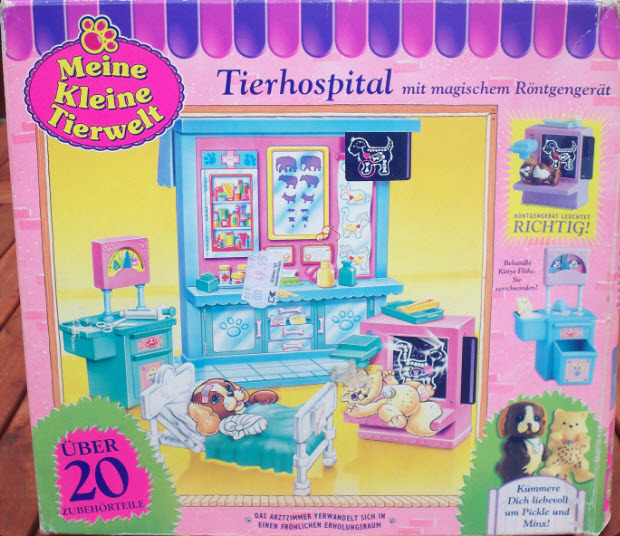 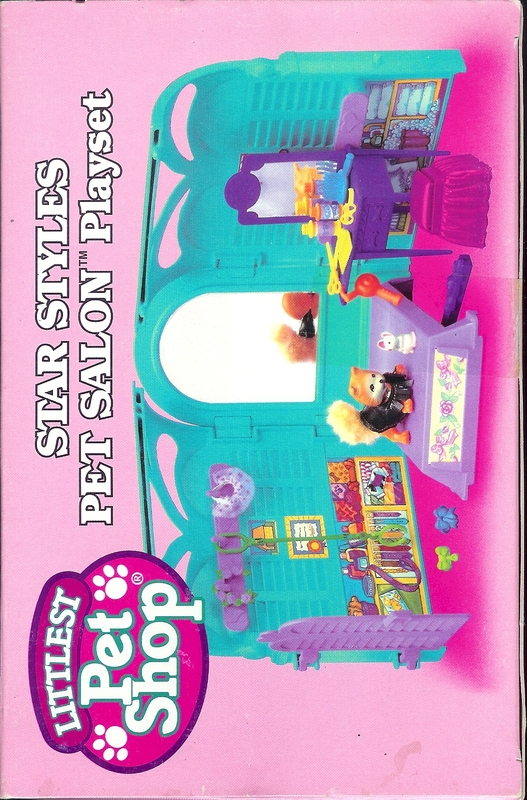 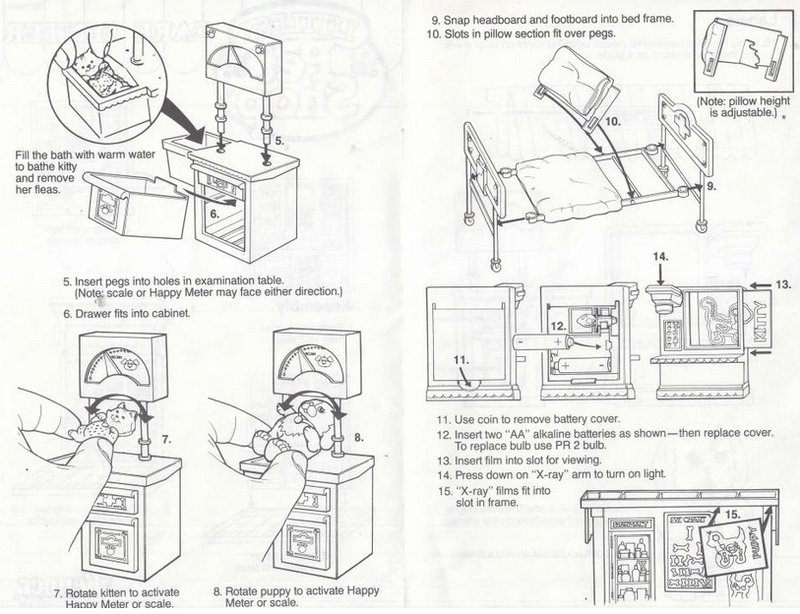 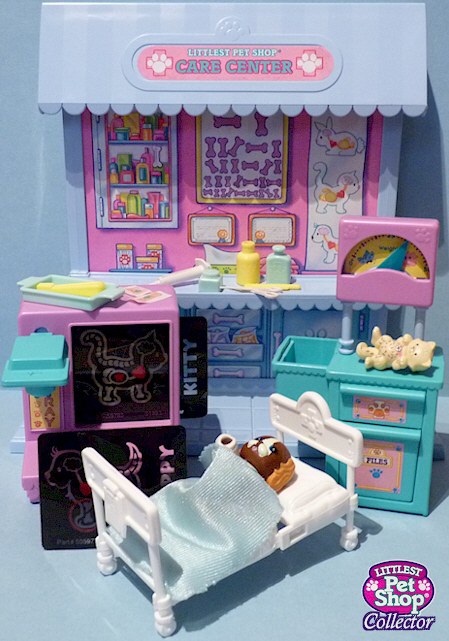 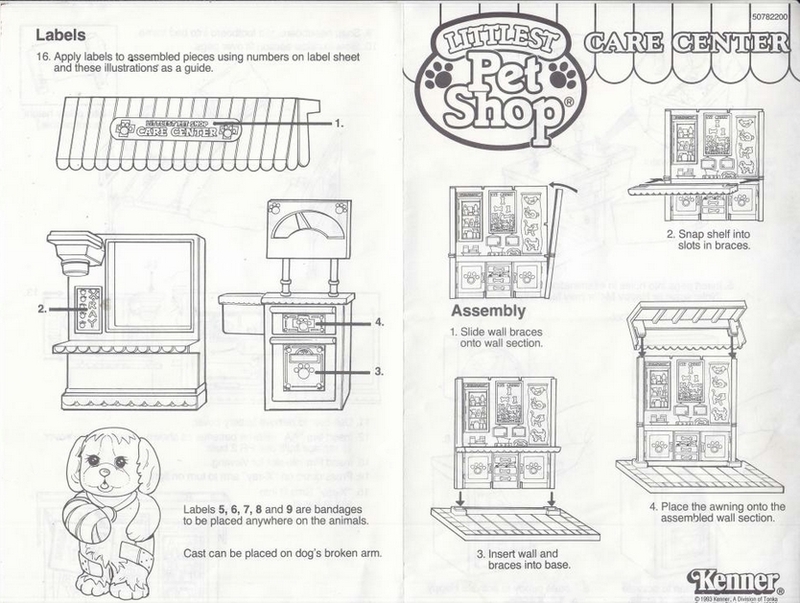 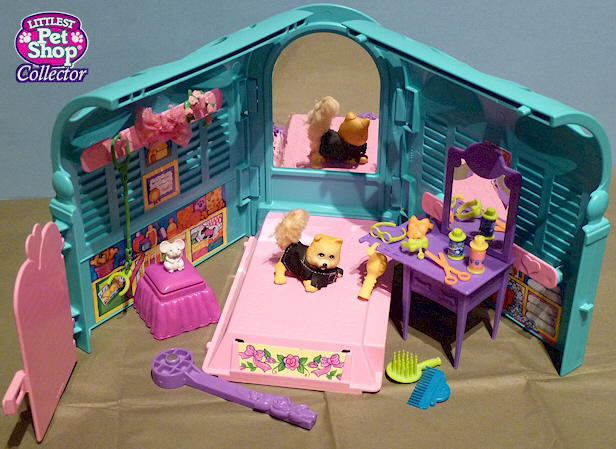 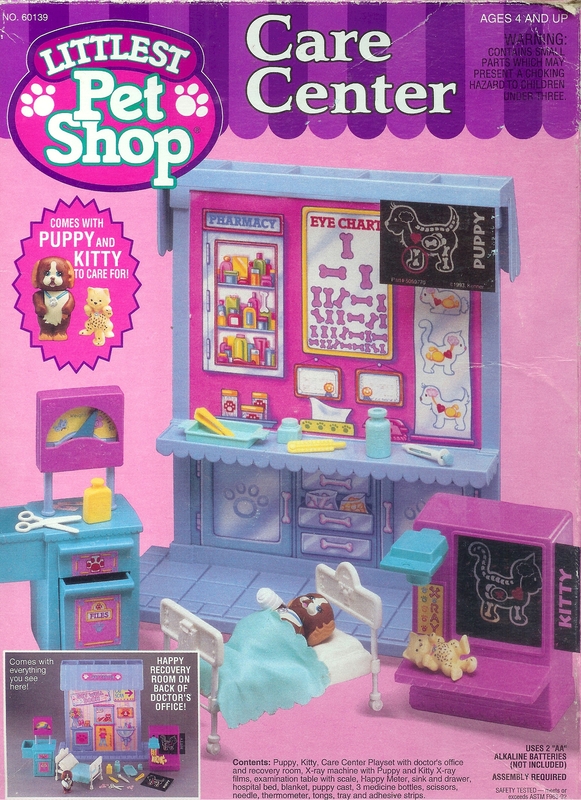 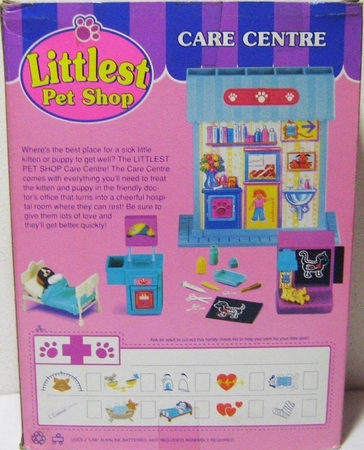 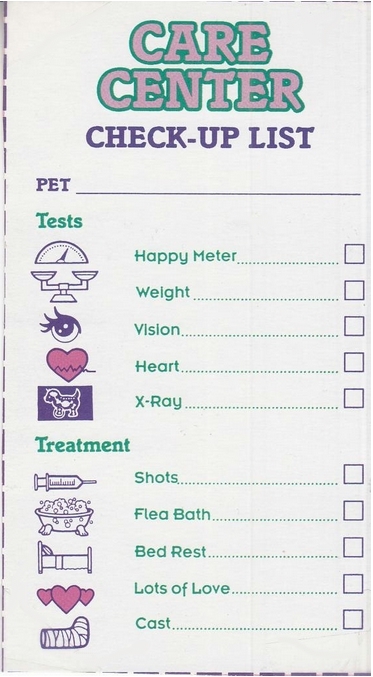 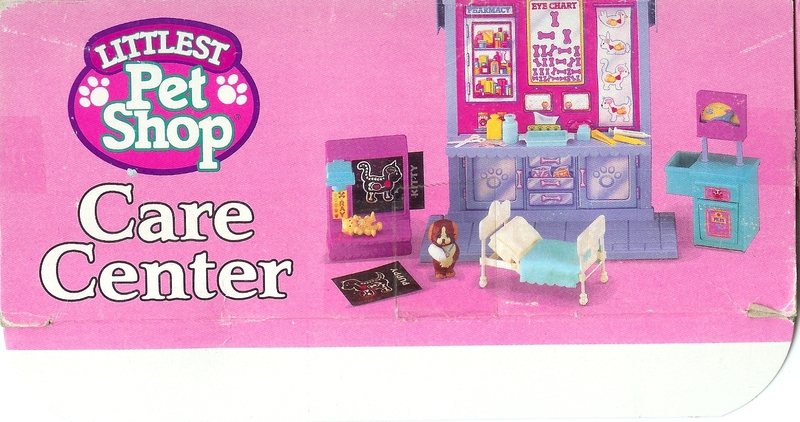 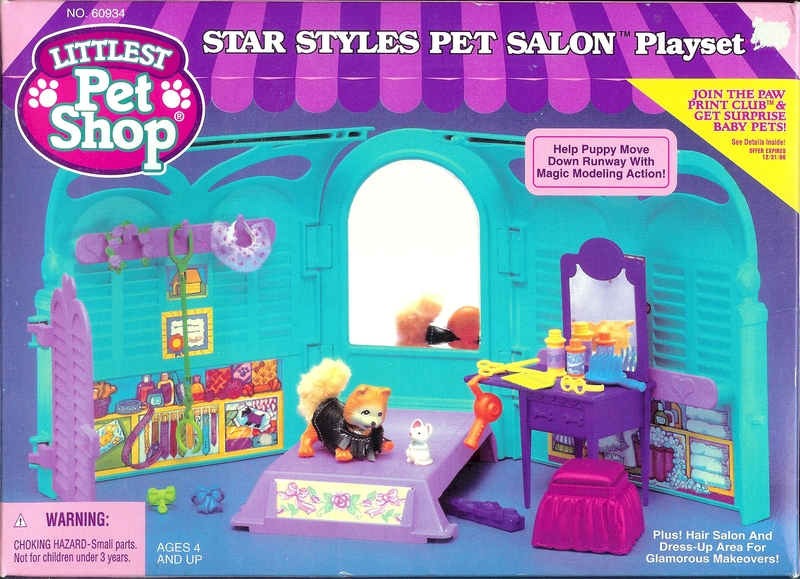 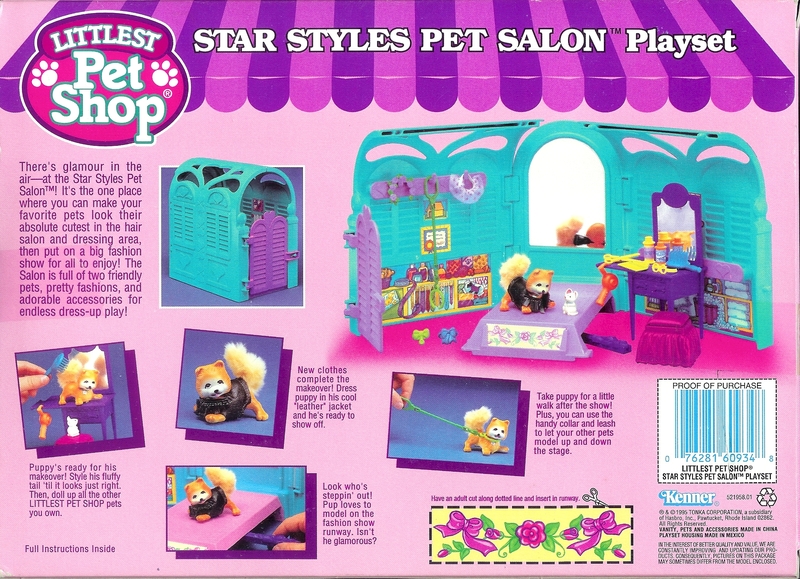 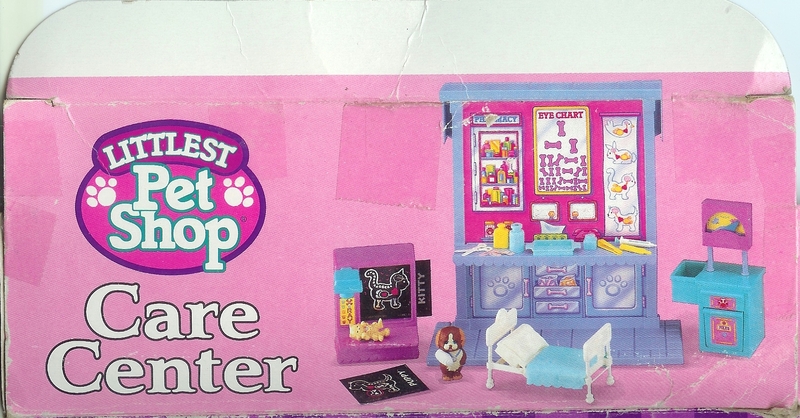 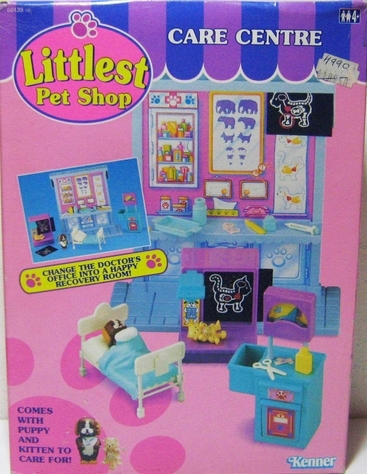 The fold-out playset in the Star Styles Pet Salon was previously used for the first and second generations of Hasbro's My Little Pony toy line: it appeared in the G1 MLP Pretty Parlor playset with Peachy and Twinkles in 1983, and again in the G2 MLP My Pretty Parlor with Ivy playset in 1998. 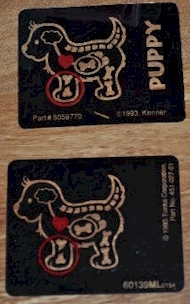 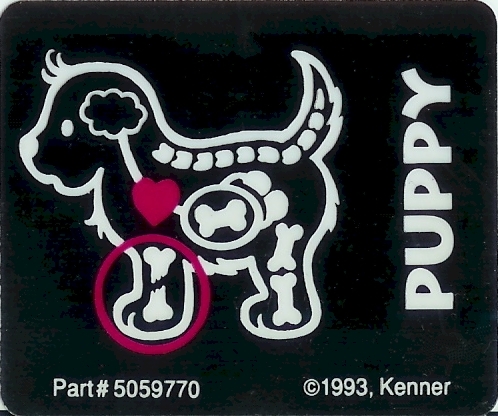 -Magnetized When you place the dog on the runway and move the magnetic wand underneath the runway, the dog "walks"